Each safety tub including the bath door is made from gel-coat fiberglass. 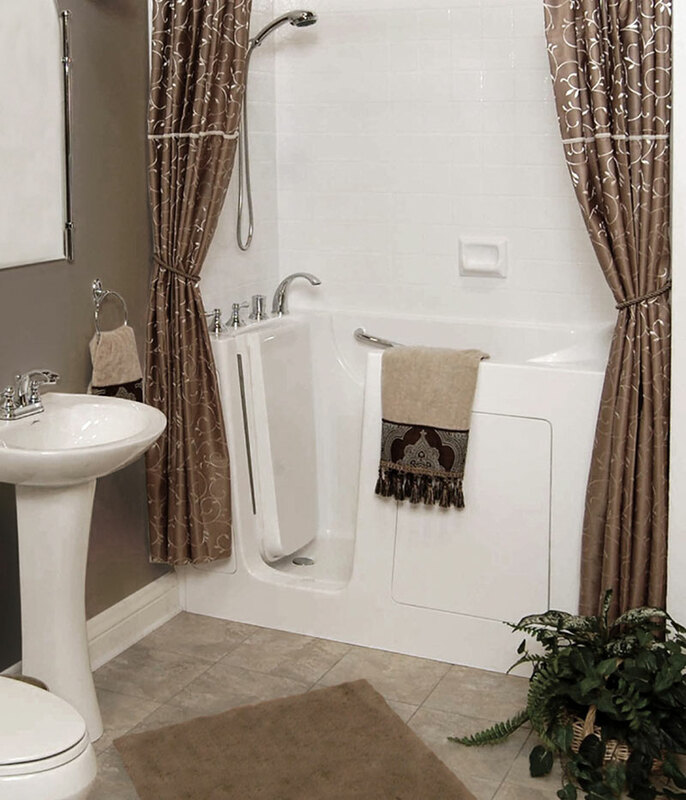 All bathtubs with doors come standard with safety features including a walk or step in bath entry door, safety grab bar, built in seat, easy to use and easy to reach polished chrome faucet, with hand-held shower, and non-slip floor. These walk in bathtubs also come with the option of a Custom Hydro Massage System, otherwise known as Whirlpool System, Air Massage System or Dual Massage System making each walk in tub tailored to suit anyone’s specific needs. Simple yet practical. The 3153 fits into that unique bathtub location. The height of this tub makes it ideal for locations where a garden window is present. Dimensions; Length 31¼" x Width 53¾" x Height 35¾"